Why are the Pyramids not mentioned in the Bible? Why didn’t God have his son born in Rome? Why didn’t Egyptians convert after the Ten Plagues? O sole god without equal ! You are alone, shining in your form of the living Aten. Risen, radiant, distant and near. Great Hymn, 47 & 73-74. The Great Hymn to the Aten is an ancient Egyptian hymn to the sun god Aten. In the tomb of Ay, the chief minister of Akhenaten (and later to become king after Tutankhamun’s death, p. 136), occurs the longest and best rendition of a composition known as the ‘Hymn to the Aten’, said to have been written by Akhenaten himself. Quite moving in itself as a piece of poetry, its similarity to, and possible source of the concept in, Psalm 104 has long been noted. Akhenaten was not a usual character. He was an intellectual and philosophical revolutionary who had the power and wealth to indulge his ideas. He tried to change the Egyptian people to a concept of godhead which was both monotheistic and abstract. He worshiped the sun (Aten) as the one true god and it is possible that the Hebrew prophets’ concept of a universal God was copied in part from this cult. The hymn gives us a glimpse of the artistic renaissance characteristic of the Amarna period. The Aton of the day, great of majesty. Many of the people who read this beautiful hymn by ‘Akhnaten’ will most likely be under the impression that ‘Akhenaten’ was the first ‘Pharaoh’ to advocate for ‘monotheism’ in a peaceful, poetic and tolerant practice. But unfortunately that was not the case. 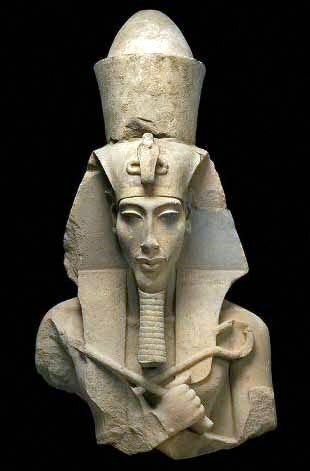 First of all ‘Akhenaten’ was never a ‘Pharaoh’ (a concocted Biblical/Jewish title for the Egyptian kings) nor his new and so called ‘monotheistic’ faith was tolerant nor even new to ancient Egypt’ theology and culture. Akhenaten’s so called new monotheism was actually a case of advocating intolerance and dogmatism in disguise. Akhenaten should be credited for promoting extremism and violence in the early history and evolution of religion thinking. As a matter of fact he should share this credit with the Israelites and their ‘violent’ creed that came to be later known as ‘Judaism’. Not that Akhenaten and the Israelites were (necessarily) culturally connected as the (academic) myth goes. Get ready to think the unthinkable and imagine the never thought imaginable. 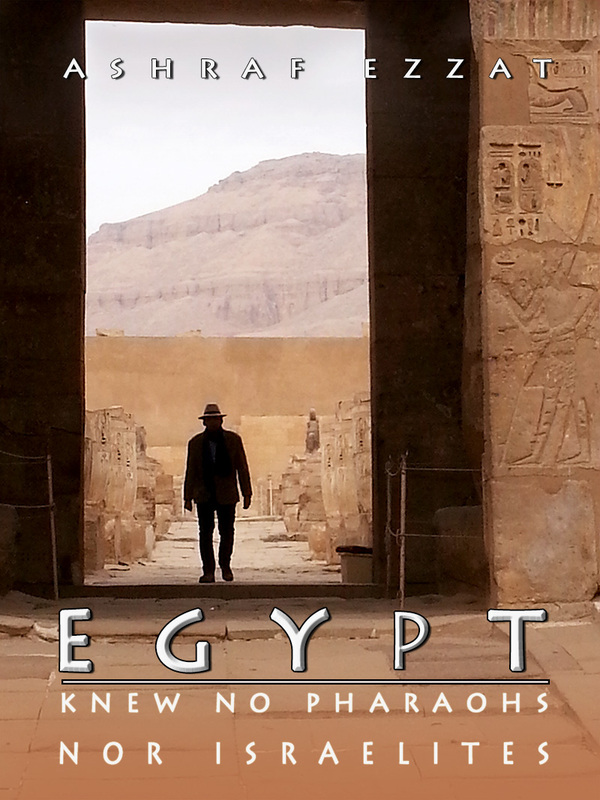 Read Dr. Ashraf Ezzat’s book (Egypt knew no Pharaohs nor Israelites) available now on Amazon. Perhaps the Exodus and the God of the Hebrews had more of an influence on Akhenaten than on him influencing them since the Exodus occured 480 years before the building of the temple in Jerusalem. Aprox. 90 years before Akhenaten. I am sure he would have been very familiar with Egypts destruction and the one true God. Lovely music, and a lovelier hymn, written by a long-dead Egyptian king. What the Great Aten has given, He will one day take away. This wonderful green Earth, child of the Sun, will be burned to a cinder, its oceans boiled away and its atmosphere gone. The Sun will have become a red giant, and its hellish fires will have consumed Mercury and Venus. Earth will be as barren as the Moon, its surface hot enough to melt lead. What will remain of humankind on this dead world? Perhaps humanity will have long since committed suicide in catastrophic wars, and no one will witness the true end of this world. Or, having survived, our descendants will have moved out into the Universe in search of other blue-green worlds to inhabit and build upon. Hopefully, they will have exorcised the demons in their hearts, and journey into the Universe an older, and much wiser race. But the bones of what once was, only small fragments, will remain on Earth, embedded in clay soil, the record of the follies and dreams of a terribly flawed race. Perhaps fragments of the Pyramids will have survived, too, but almost all the other artifacts of our race will have perished. Will Galactic travelers try to piece together Earth’s past? Will they be interested, or will they merely pass by, unwilling to disturb the spirits of the dead? I think they may stay far away from Earth’s remains, afraid of contracting the contagion of the mind that destroyed Earth so long ago. Earth’s history will have become a cautionary tale, a nightmarish saga with which to frighten children. Whose children? Finally, the Great Aten will consume the bones of this world, too, reducing them, once again, to gases and atoms. The circle will be complete. Then the Aten Himself will collapse into a fast-spinning shadow of Himself, a white dwarf, no longer providing heat, light and life to the frozen family of planets that spin around Him. Who will remember Earth? In time, our descendants may inhabit far-away worlds, and may have lost even the memory of where their race began. Who will remember Earth? Only the Aten Himself. Egypt knew no Pharaohs nor Israelites.